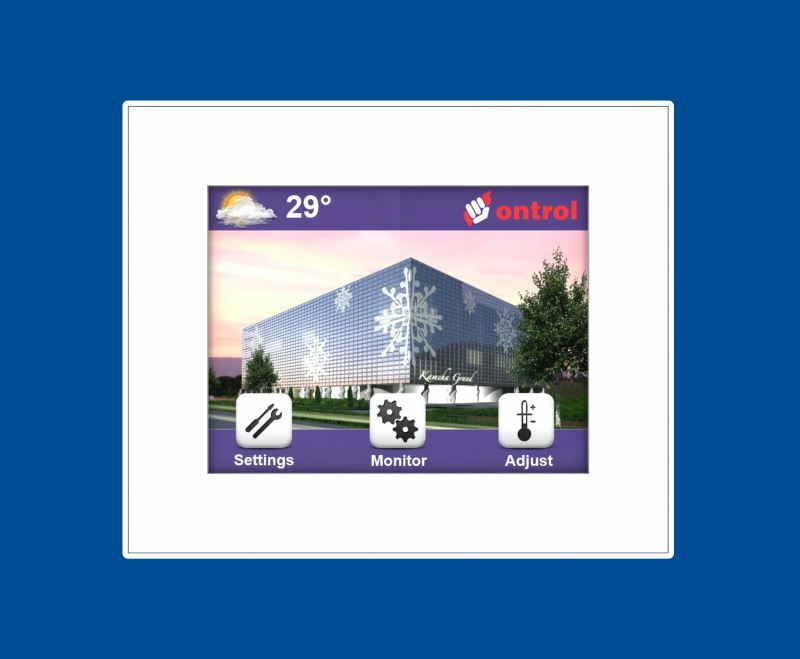 Extremely flexible customization options are available thanks to configurable color touchscreen, full programmability, custom logo possibility and various styles and color options. 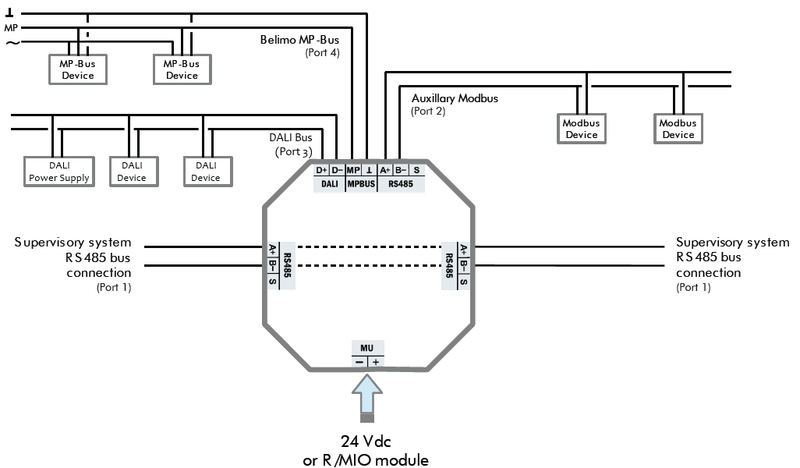 The unit has no on-board inputs & outputs, but is able to connect to a multitude of external IO, due to multiple communication ports and protocols. 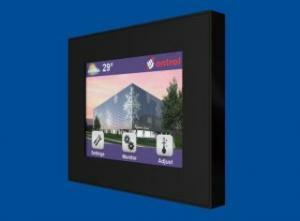 Integrated temperature sensor is standard on all versions. 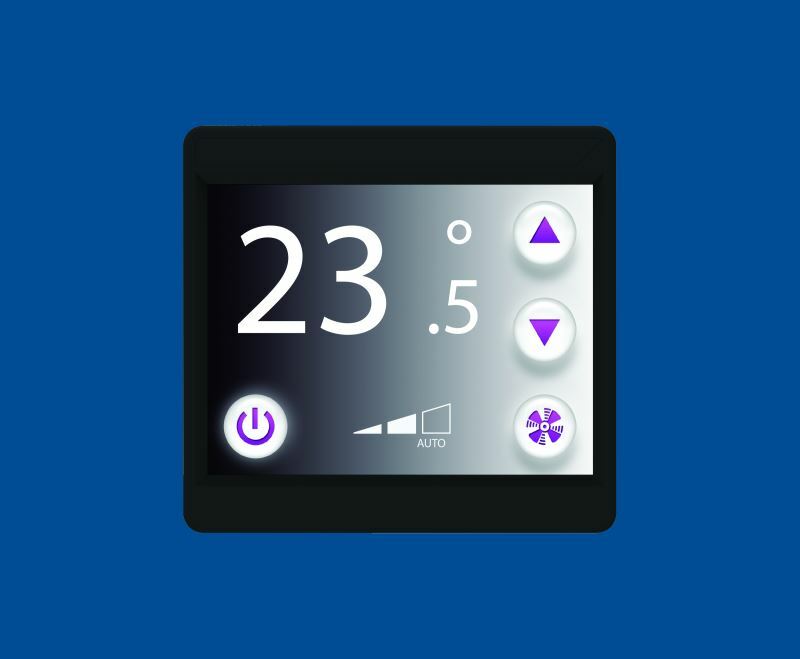 The unit can also be ordered in a temperature plus relative humidity sensing configuration. 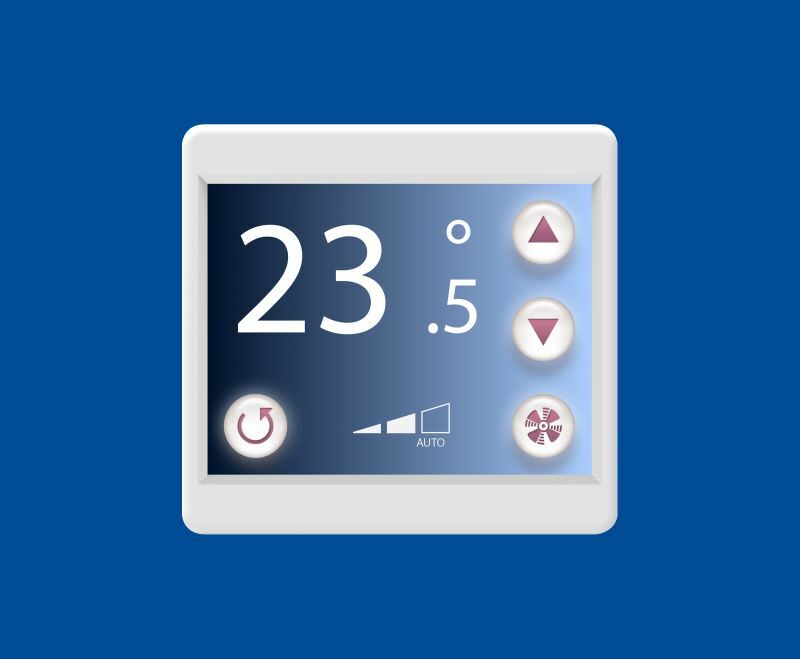 In addition to basic fan-speed and temperature settings, lighting controls can easily be integrated, as well as custom application specific functions (e.g. Do Not Disturb / Make Up Room buttons for hotel rooms). Two frame styles are available. The original smaller frame (style 1) can be supplied in white or black. 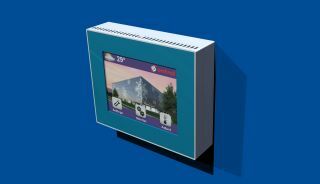 R-ION controllers are typically flush-mounted on a standard recessed wall-box, allowing a visible depth of only 10.5 mm. A surface mount back-box will also be available (end of 2016). Developed by Tridium, Sedona is the industry's first, open source development framework that provides a complete software platform for developing, deploying, integrating, and managing pervasive device applications. It brings the power of programmable control and the Internet down to edge devices. Sedona distributes decision making control and manageability to any device and brings intelligence and connectivity to the network edge and back.